mPort is end of life (EOL) with no replacement. 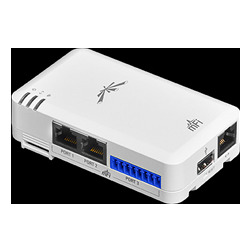 The mPort supports up to 3 sensors that can be easily attached through standard Cat5 Ethernet cable and features built-in WiFi and Ethernet to attach the sensors to the IP network. Once connected, the mFi controller software enables complete control over all connected sensors.